David M. DeChellis DO is an Board-Certified Interventional Pain Management physician who was trained in both Interventional Pain Management and Musculoskeletal Injury Medicine by the top experts in both the UPMC and Allegheny Health Network care systems. Dr. DeChellis was originally born in Western Pennsylvania and is now providing high quality, compassionate pain management to the community he was raised in. He pursued his undergraduate education at Geneva College, receiving his bachelor’s in Biology and graduating as valedictorian. During his undergraduate years, Dr. DeChellis also participated as a defensive starter on Geneva College’s football team. Following his undergraduate education, he attended Lake Erie College of Osteopathic Medicine in Bradenton, Florida where he graduated in the top 10% of his class. Dr. DeChellis initiated his residency in Physical Medicine & Rehabilitation at the University of Miami, where he served as Sports Medicine Chief for his program. He then finished his residency training at the University of Pittsburgh Medical Center in Physical Medicine & Rehabilitation, serving as Academic Chief Resident. Upon completion of his residency Dr. DeChellis furthered his training with a ACGME-accrediated, subspecialty fellowship in Interventional Pain Medicine at the Western Pennsylvania Allegheny Health System. Dr. DeChellis’ unique medical training allows him to accurately diagnose problems of the musculoskeletal and nervous system, and make tailored, comprehensive treatment plans to address patients’ pain and functional ability. 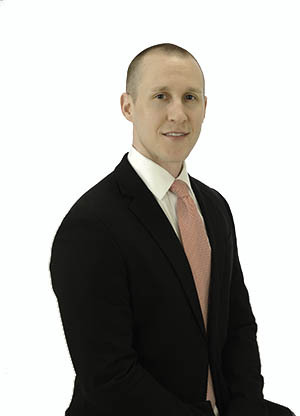 His professional interests include interventional pain management with emphasis on advanced procedures including spinal cord stimulation, image-guided interventional pain procedures, ultrasound-guided injections, musculoskeletal injuries, as well as regenerative pain medicine. Dr. DeChellis continues to present educational material to Pain physicians at national conferences. Dr. DeChellis is currently married with two children. His personal interests include fitness training, sports, traveling, outdoor activities, and music appreciation.